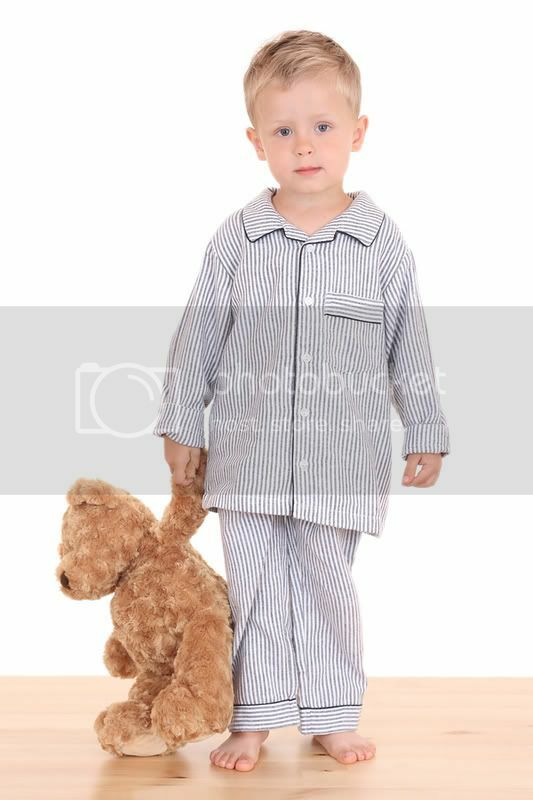 With the turn of the seasons and the cold weather, you might be looking to buy your children new pajamas. Or, if you are like me, new pajamas are given the night we decorate the tree. But if you are concerned about being green and your child’s exposure to toxic chemicals, you might be wondering whether those new pajamas have been treated with flame retardants? And does it matter? Whether or not it matters is a decision you’ll have to make yourself. The Consumer Product Safety Commission (CPSC) considers chemically treated pajamas safe. In the 1970s, it banned brominated Tris and removed chlorinated Tris from being used on children’s pajamas after they were found to mutate DNA and identified as probable human carcinogens. These chemicals were removed from children’s sleepwear after it was found that children were exposed from treated sleepwear. So, these two particular chemicals won’t be used, but what is actually used on pajamas is difficult to discover: just try asking a retailer what particular flame retardant is used on any particular item of sleepwear. Chemicals used on pajamas or pajama fabrics include chlorinated and brominated flame retardants, inorganic flame retardants such as antimony oxides, and phosphate-based compounds. Chlorinated and brominated flame retardants are contaminating the environment and accumulating in the human body. For example, polybrominated diphenyl ethers (PBDEs) have been linked to doing damage to the nervous and reproductive systems and impairing thyroid function. North Americans have the highest body burden of PBDEs in the world. Can you avoid flame retardants in pajamas? Well, it depends on what you buy. In the United States, children’s sleepwear sized 9 months to 14 years must meet certain flammability requirements. The requirement is intended to protect children from burns. I’m often asked how that exactly works, since if your bed is on fire you’ve seemingly got a lot more to worry about than your pajamas. The concern stems less from the idea of being caught in a housefire and more from sleepwear catching fire, for example, because of a stray sleeve catching a candle or match, or due to children playing with fire. That’s why sleepwear sized under 9 months is exempt: because babies aren’t expected to be roaming around unsupervised too often. To meet the regulatory flammability requirements, children’s sleepwear must either pass certain flammability tests, or be tight fitting and meet certain specifications as to dimensions. This means that your child’s pajamas either have flame retardants added or are snug-fitting and probably free of flame retardants. First, check the fabric content. Look at the label and see what it lists as the primary fabric used. If the item is sleepwear and it is made of a synthetic fiber, it has flame retardants. All synthetic materials have flame retardants added. The issue for synthetic fabrics is whether the sleepwear is “chemically treated” or not. Only some sleepwear is “chemically treated” with flame retardants. Chemically treated fabrics have a chemical flame retardant added to the sleepwear. These sleepwear items include nylon and acetate fabrics. I’ve found that many of the nightgowns my daughter would like to have–pink dresses with princesses printed on them–are made of nylon. In contrast, most synthetic fiber sleepwear has a flame retardant inserted into the fabric fiber, including most polyester fabrics, as opposed to the fabric being “chemically treated” with a flame retardant. Fiber with flame retardants inserted into the fabric fiber are considered chemically stable. These manufacturers may claim that the sleepwear is not treated with a chemical flame retardant, and that’s true. The sleepwear is not “chemically treated.” But that doesn’t mean it is free of flame retardants. If children’s sleepwear is synthetic, flame retardant is present, whether the fabric is treated with flame retardant or the flame retardant is bonded to the fiber. An original 5 Minutes for Going Green post. Check out more hints for non-toxic living at Jennifer’s personal blog, TheSmartMama. Because, of course, smart mamas do it all naturally. Thank you for this very informative post! I’m going to link to it from my own blog – the word needs to get out. Thanks so much for sharing this GREAT information!!! So much I didn’t know before. I have always chosen snug fitting 100% cotton pjs for my son because I wanted him to have a natural fiber against his skin. Didn’t realize the flame retardant pjs had chemicals in them!! This post is awesome info, thank you! 35 Weeks, Day 4 – Why Wash Brand New Baby Clothes? – My Journey to being healthy, pregnant and toxin free.